In advance of the #WeNurses Twitter chat on 7 May I am doing a couple of posts to summarise my #hospitalbreastfeeding campaign to date. Part 1 covered what I got up to in 2014, and Part 2 (hopefully coming out on Monday) will explain what has been happening so far this year. In between, I wanted to give you a flavour of a couple of articles relating to the campaign, one that I had published and one that highlighted the issue. 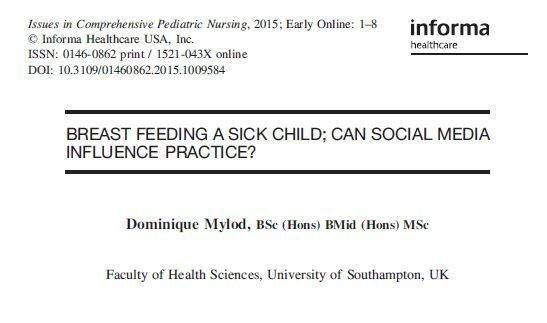 Thanks to the support of Doreen Crawford, I had an article published in the December 2014 edition of Nursing Children and Young People, an RCN journal. Doreen is one of the authors of the RCN’s “Guidance for good practice – Breastfeeding in children’s wards and departments“, and the consultant editor of Nursing Children and Young People. 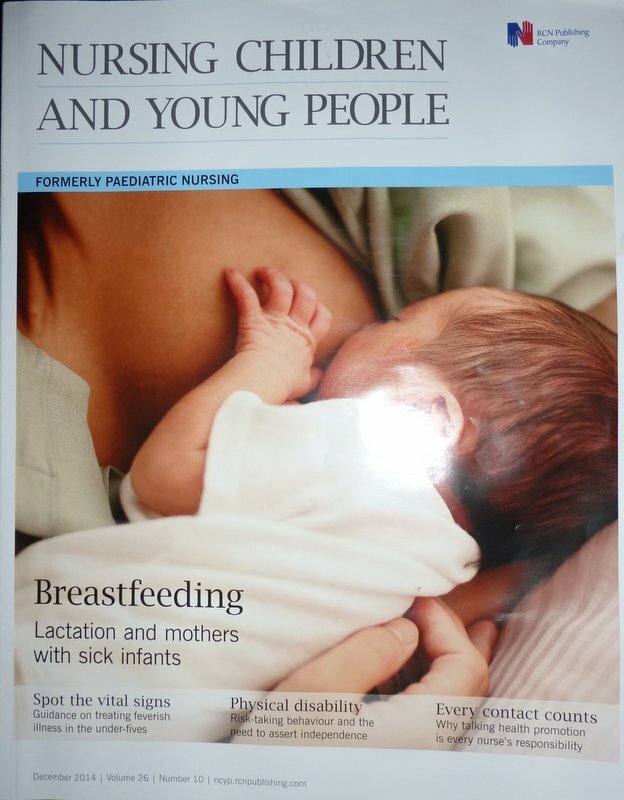 The edition of the journal in which I appeared also had a CPD article on “Supporting the establishment and maintenance of lactation for mothers of sick infants” which is well worth a look. “The common perception of breastfeeding in our society can be summed up by the odious phrase “breast is best”. The perception is that breastfeeding is an ideal. A lifestyle choice. A wonderful thing to do if everything is fantastic and straightforward in your life. The problem with this perception is that breastfeeding is the biological norm, the way that humans have evolved to feed their children. Hence the quote “breast is not ‘best’, it is normal”. Thank goodness we have the option of formula feeding when necessary, but I would hope that we all know by now that formula does not offer anywhere near as much to a child as does breast milk. For the evidence base for the above, please see the Guidance section of my website. The second article featuring #hospitalbreastfeeding was written by Dominique Mylod of the Faculty of Health Sciences, University of Southampton. Kath Evans had suggested that I provide a write up to Professor Alan Glasper of that university, and he kindly passed on the information to Dominique, who was published in “Issues in Comprehensive Pediatric Nursing” (of which Prof Glasper is the editor in chief). That doesn’t mean everyone can do it. That doesn’t mean everyone wants to do it. That doesn’t even mean that it is the right feeding choice for every child. But if every paediatrician and CYP nurse started the day with that phrase in their minds, and a willingness to seek out the bounds of the possible, breastfeeding sick children would become that little bit easier.